Join us in celebrating Earth Day! We’ll have all different kinds of stations where you can recycle postage stamps into cool keepsakes. All ages are welcome, free and open to the public, no registration necessary. Celebrate National Garden Month with us. We’ll read stories, and make a special seed craft. Designed for ages 2 and older, free and open to the public, no registration necessary. Bring a partner or find one here, some experience is preferrable. Stop in for help on a project or use the weekly group to keep your project on track. Knitters and crochet folk of any skill level are welcome to drop-in. Join Sandra Stolle as she teaches an introductory class on the foundations of this classic game. Space is limited and pre-registration is required. This group meets Mondays in April, skipping vacation week on the 15th. Join Sue Shepard for 30 minutes of stories, songs, and finger plays for children ages 0-18 months. Children must be accompanied by their caregiver and alternate care for siblings is encouraged. In-room preregistration is requested. Children in K- 5th grade are encouraged to come and create with friends. Each week brings a new artist or style to explore. No registration necessary. This 8 week basic introductory 16 hour course is for both power and sail boaters. It is approved by the National Association of State Boating Law Administrators, recognized by US Coast Guard and the state of Massachusetts as well as all other states. Successful students receive a USPS Certificate of Completion showing they have met the educational requirements for safe boat operation in all 50 states. The boating course will meet Tuesdays 6-8 pm starting March 26, no class April 16th (April vacation week). Plan to attend all classes. Course topics include federal and state navigation rules, required & recommended safety equipment, operating & environmental regulations, GPS, marine radio, safe boat handling, emergency procedures, PWC’s, hands-on chart work, and trailering. Open to all adults and children over the age of 12 on a first to register basis. Cost is $60 for manual, plotting tools and exam. Families may share materials to reduce costs. Register now to insure your space. Register at: BEVERLY-USPS.ORG Contact Ray Tilton, 978-578-1795 or abc-hamilton@beverly-usps.org with any questions. This hour long storytime is presented by Lisa Davis of Cape Ann Early Intervention. Children must be born between 10/24/16 and 10/24/17 to register for this program. Participants will be selected at random and contacted by Lisa prior to the start of the program. If you do not receive a call prior to the start of the program, please enter the lottery again in the summer. In-room preregistration is required on April 16. LEGO Club for children in K-5th grade. Drop in and create a masterpiece, share your ideas, work individually or as a team. This is a nonrobotics program, created to share the joy of LEGOs. No experience or registration is necessary. Refreshments at 6:30, 7:00-7:15 Brief Friends of the Library meeting, then Steve takes the mic at 7:30. Stephen Bjork is a polished veteran of the highly competitive Boston comedy scene with crisscrossing tours of the country under his belt. His material is intelligent; sometimes absurd, and always accessible, but first and foremost it is funny. From the supermarket, to recess, to family life, and even to cannibalism, Bjork crafts hysterical anecdotes and observations from everyday life in a way that every demographic in any given audience can enjoy. Want to know how to liven up an elevator ride or make the most out of your time on line at the bank? Then catch his show! Free and open to the public, everyone is invited to attend. Join Melanie Ward for this class that includes stories, science activities, free play and more. For children ages birth to 5 years. Pre-register at Early Childhood Partners. Learn about our newest digital resource: Hoopla! It is your link to online audiobooks, movies, TV shows and more. Meet the newest member of our team, Lewis Parsons, as he walks you through setting up an account, and searching tips and tricks. If you'd like, bring your tablet, laptop, or favorite device to follow along. Free and open to the public, however our subscription to Hoopla only covers HW Library cardholders. Heritage Films presents: Ghosts of Gettysburg. See evidence of the paranormal on the northernmost battlefield of the American Civil War. 2017, Non fiction Killers of the Flower Moon by David Grann. “New Yorker staff writer Grann (The Lost City of Z) burnishes his reputation as a brilliant storyteller in this gripping true-crime narrative, which revisits a baffling and frightening—and relatively unknown—spree of murders occurring mostly in Oklahoma during the 1920s.” –PW Next up for June: If the Creek Don’t Rise by Laura Weiss. The TTT is for ages 11-18, grades 6 to 12. We meet on the first Thursday of the month at 6:30 PM for 90 minutes. The TTT works to improve collections (books, movies, music, audiobooks, etc.) and to create programs and services designed for teens in this community. Attendance at meetings and TTT events and projects is approved for high school community service hours. Alzheimer's is not normal aging. It's a disease of the brain that causes problems with memory, thinking and behavior. Join us to learn about: the impact of Alzheimer's, the difference between Alzheimer's and dementia, disease stages and risk factors, current research and treatments, and available resources. Presented by the Alzheimer's Association, free and open to the public, bring along a friend. Join us for stories, a treat, and a fun activity to follow. Great for ages 2 and older, no registration is necessary. 2015. A girl makes a secret sacrifice to the faerie king in this lush New York Times bestselling fantasy. Click here to jump to the catalog. Join us for a 45 minute adventure into storytelling and yoga. Using basic stretches, breathing activities, music & games, we will bring a story to life with yoga. Don't forget to bring comfy movement clothes and a smile! Designed for ages 3-5 with caregiver, no registration necessary. Join us for a seasonal stories and make a fun craft to take home. No registration necessary, great for ages 2 and older. Currently this group is closed to new members, it is quite full. Tonight the group discusses Lisa Genova's Every Note Played, Fiction. 2018. 320 p. pianist - ALS. Next up for June: Kristen Hannah's The Great Alone, Fiction. 2018. 448 p. & the spring optional title is Harriet Ann Jacobs' Incidents in the Life of a Slave Girl Biography / Memoir. 1861. 160 p.
Pick up your copy today! 2016 bestselling historical fiction. "Amor Towles skillfully transports us to The Metropol, the famed Moscow hotel where movie stars and Russian royalty hobnob, where Bolsheviks plot revolutions and intellectuals discuss the merits of contemporary Russian writers, where spies spy, thieves thieve and the danger of twentieth century Russia lurks outside its marbled walls." Sign up for your 1:1 session with Tessie the Labradoodle, a certified Therapy Dog. Reading aloud to Tessie's soothing presence helps boost confidence in reading skills, and it's great fun. This is a great experience for children in 1-3rd grade. Join us to celebrate the lasting legacy of Eric Carle's classic story: The Very Hungry Caterpillar. Join us for stories, games and a craft. Great for all ages, free and open to the public. 2013. In this stunning space opera, a warship's AI becomes trapped in a human body, her goals reduced to one: revenge. Winner of the Hugo, Nebula and Arthur C. Clarke Awards. Click here to jump to the catalog. 2017, fiction. If the Creek Don’t Rise by Laura Weiss. “Writing with a deep knowledge of the enduring myths of Appalachia, Weiss vividly portrays real people and sorrows. A strong, formidable novel for readers of William Faulkner and Cormac McCarthy.” -LJ Next up for July 10 The Innocent Man by John Grisham. 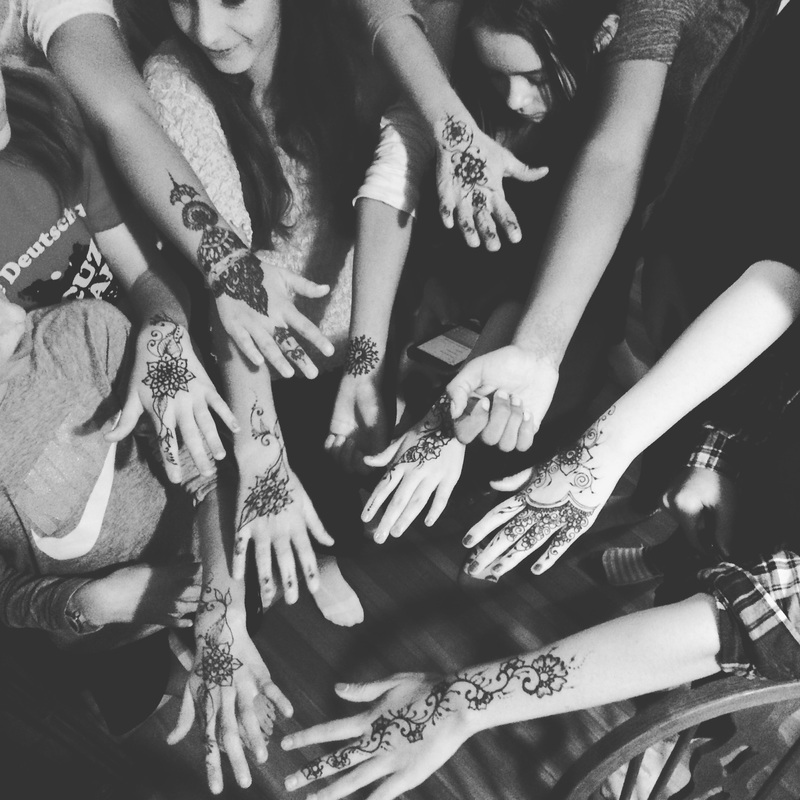 will be here for two hours doing henna tattoos. Open to teens entering grades 6 through 12 in Fall 2019. Registration begins June 1, sign up at the Reference desk or call 978-468-5577. Currently this group is closed to new members, it is quite full. Tonight the group discusses Kristen Hannah's The Great Alone, Fiction. 2018. 448 p. After that you're on break for the summer and we'll see you in September! Make a colorful weaving using found materials such as jeans, t-shirts, maps, books, fabric scraps, and more! Learn how to construct a simple loom and then re-purpose favorite garments, natural fibers, and other household items as playful textile artworks. You are encouraged to bring favorite old garments, ribbons and other textiles that you want to use for this project. This is a multigenerational weaving workshop - for ages 8 to Adult. *Please note that participants under 13 years of age must be accompanied by an adult guardian. Space is limited. Registration begins June 1, sign up at the Library's Reference desk or call 978-468-5577. 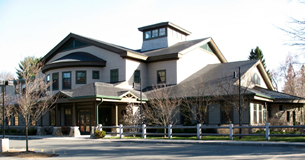 *This program is supported in part by a grant from the Hamilton-Wenham Cultural Council, a local agency which is supported by the Mass Cultural Council, a state agency. Join us at 7:30pm in the large meeting room next to the elevator on the first floor, for a celestial themed craft, followed by a slide presentation at 8:00pm with North Shore Astronomy Club's Star Party Leader, Brewster LaMacchia. Then at 8:30pm we will adjourn to the adjacent field outside for observation through Club telecsopes. This event is best for ages 10 and up. 2006, nonficiton The Innocent Man by John Grisham. “John Grisham’s first work of nonfiction, an exploration of small town justice gone terribly awry, is his most extraordinary legal thriller yet.” Next up for August: Bel Canto by Ann Patchett. Instant New York Times Bestseller. New York Times Notable Children's Books of 2018. TIME Top 10 Best YA and Children's Books of 2018. NPR's Book Concierge 2018 Great Reads List. Buzzfeed's 24 Best YA Books of 2018. Bustle's Top 25 Best Young Adults Books of 2018. 2018 Kirkus Prize Finalist. YALSA William C. Morris YA Debut Award Finalist. Click here to jump to the catalog. 2001, ficiton Bel Canto by Ann Patchett. “At once riveting and impassioned, the narrative becomes a moving exploration of how people communicate when music is the only common language.” Next up for September: The fall slate of books has not been decided yet ... stay tuned! 2017. A murderous android discovers itself in this tense, science fiction adventure … that interrogates the roots of consciousness through Artificial Intelligence. Click here to jump to the catalog. Sorted by genre and format, swing by and enjoy a great booksale. Friends of the Library members get first crack at the books, you can join or renew at the door. The public sale is from 9-3 on Saturday, 14, and the sale continues Monday through Thursday 10-8, Thursday is the fill-a-bag day, please bring your reusable shopping bag. Sorted by genre and format, swing by and enjoy a great booksale. Friends of the Library members get first crack at the books on Friday,13 from 6-8, you can join or renew at the door. The public sale is from 9-3 on Saturday 14, and the sale continues Monday through Thursday 10-8, Thursday is the fill-a-bag day, please bring your reusable shopping bags. Join local author and historian Olga Morrill for a discussion on Quaker history in the Massachusetts Bay Colony. Plymouth Rock and the Puritan landing in 1620 figure prominently in Massachusetts history, but the century and a half between that event and the American Revolution of 1775 is largely a mystery. Few people are aware of the shocking events that occurred in 17th century New England. What was Colonial life like for the first generation of American-born settlers? How did the Puritans govern? Why did they react so violently to the Religious Society of Friends? Who were the original proponents of religious tolerance on American soil? Sponsored in partnership with the Hamilton Historical Society & the Friends of the Library. Free and open to the public. 2011. A spine-tingling fantasy with haunting vintage photos, sure to delight anyone who relishes an adventure in the shadows. Click here to jump to the catalog. Christine Lee of the Hamilton Board of Health will be coorinating flu shots for the public. Afternoon hours of service are predicted, but not finalized. 2016. This fast-paced futuristic science-fiction cyber-thriller about virtual reality gone wrong is a compulsive read, especially for gamers. Click here to jump to the catalog. 2012. The first in an epic new fantasy series, introducing an unforgettable new heroine and a stunningly original dystopian steampunk world with a flavor of feudal Japan. Click here to jump to the catalog. Join us for the concluding speaker for our 11th Annual National Novel Writing Month events. So you've finished, started, or thought really hard about your first draft. Now what? Ms. Russell's a local NaNoWriMo veteran who has published two books of her series 'The Harper Sisters'. Is self-publishing for you? Hear from someone who's been there and done it - bring your questions, and get ready to take that next step towards self publishing. Free and open to the public, bring along a friend.